Blame shifted towards Saudi authorities Friday after a crush at the hajj killed at least 717 people during the worst tragedy to strike the annual Muslim pilgrimage in a quarter-century. The disaster, which also injured several hundred people, was the second deadly accident to hit worshippers this month, after a crane collapse in the holy city of Mecca killed more than 100. Riyadh's regional rival Iran said 131 of its nationals were among the victims, and on Friday stepped up its criticism of the kingdom, demanding that affected countries have a role in the Saudi investigation into the disaster. Witnesses said pilgrims died with arms draped around each other. "There was no room to manoeuvre," said Aminu Abubakar, an AFP correspondent who escaped the crush of bodies because he was at the head of a procession. Fellow pilgrims told him of children dying despite parents' efforts to save them near the sprawling tent city where they were lodged. "They threw them on rooftops, mostly tent-tops... Most of them couldn't make it." The stampede broke out in Mina, about five kilometres (three miles) from Mecca, during the symbolic "stoning of the devil" ritual. Several African and North African countries confirmed deaths, as did India, Indonesia, Pakistan and the Netherlands. Moroccan media gave 87 nationals killed. "Countries such as Iran, which have suffered so much, should be represented in the inquiry to determine the causes of the catastrophe and to gain assurances that it will not be repeated in the future," Iran's First Vice President Eshaq Jahangiri said after an extraordinary session of the cabinet. King Salman, whose official title is "Custodian of the Two Holy Mosques" in Mecca and Medina, ordered "a revision" of how the hajj is organised, state news agency SPA said. A formal inquiry is under way. Nigeria's President Muhammadu Buhari urged the king "to ensure a comprehensive and thorough exercise that will identify any flaws in hajj organisation". Buhari said his country had lost a prominent journalist, a professor "and others" in the tragedy. Turkey reported 18 of its nationals missing but President Recep Tayyip Erdogan defended Riyadh, with whom Ankara's ties have been improving. He said it would be wrong to "point a finger at Saudi Arabia which does its best" to make the hajj possible. 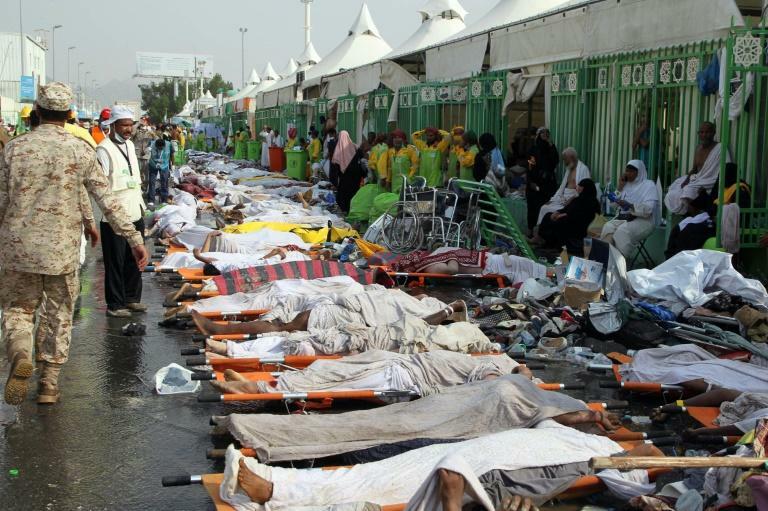 Pilgrims at the scene faulted Saudi authorities and some said they were afraid to carry on with the rituals. They acknowledged, however, that security had improved on Friday and the crowd was smaller. Special emergency forces were heavily deployed across Mina with dozens of troops at every level of the five-storey bridge used for the stoning ritual in which pebbles are thrown at walls. A Kenyan survivor who returned to the site on Friday told AFP his group lost three people. "I can blame the Saudi government because they did not control (the situation). I was there. I survived," Isaac Saleh said, tears welling. On Friday, Salman told a reception for the heads of visiting hajj delegations that Riyadh is committed "to ensure the comfort of the visitors, and watch for their safety and security". During weekly prayers at Mecca's Grand Mosque, Sheikh Saleh al-Taleb said the kingdom "is capable of managing hajj affairs" without outsiders suggesting they can do better. "It is unacceptable to ignore all the efforts" made to improve infrastructure at the holy sites, he said. Saudi Arabia has spent billion of dollars on hajj safety measures. Health Minister Khaled al-Falih faulted worshippers themselves for the tragedy, saying that if "the pilgrims had followed instructions, this type of accident could have been avoided". Pilgrims, however, blamed road closures and poor management of the flow of hundreds of thousands of pilgrims in searing temperatures. "People were stumbling, falling, trying to get up. They were dehydrated, getting disorientated, they were dying in front of our eyes," said South African businessman Zaid Bayat, 43. The stampede began at around 9:00 am (0600 GMT) Thursday. 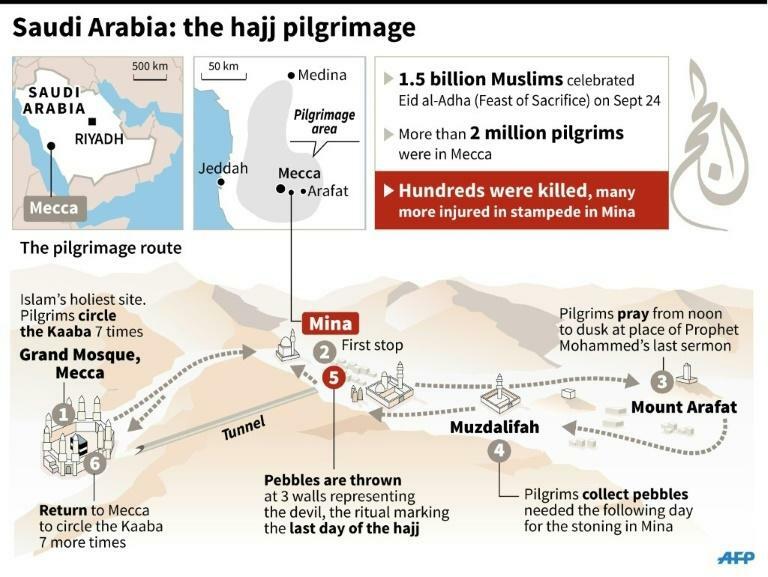 Pilgrims were converging on Mina's Jamarat Bridge to throw pebbles on the first day of the last major ritual of the hajj, which officially ends on Saturday. The stoning bridge, which resembles a large parking garage, was erected in the past decade at a cost of more than $1 billion (893 million euros) and was intended to improve safety after past disasters. Interior ministry spokesman General Mansur al-Turki said "a large number of pilgrims were in motion at the same time" at an intersection in Mina. "The great heat and fatigue of the pilgrims contributed to the large number of victims," he said. Irfan al-Alawi, co-founder of the Mecca-based Islamic Heritage Research Foundation, said police were not properly trained and lacked the language skills for communicating with foreigners. "There's no crowd control," he said on Thursday. The disaster came as the world's 1.5 billion Muslims marked Eid al-Adha, the Feast of Sacrifice, the most important holiday of the Islamic calendar. Days before the hajj, a construction crane collapsed at the Grand Mosque, Islam's holiest site, killing 109 people including many foreigners. 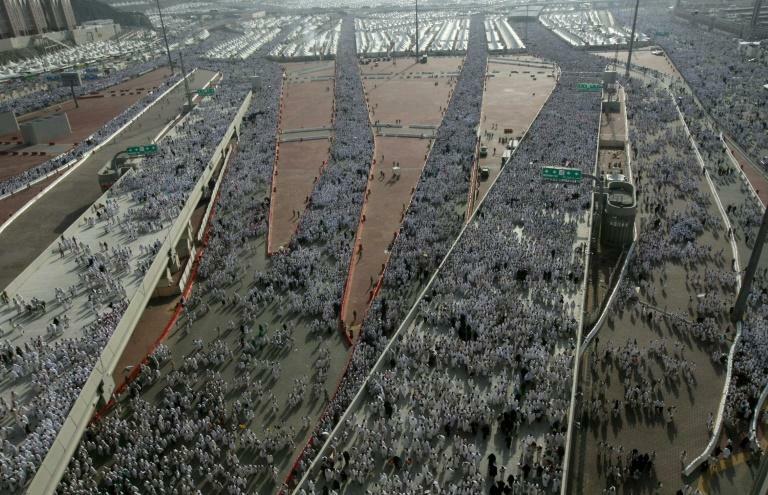 Official figures released on Thursday said 1,952,817 pilgrims had joined this year's hajj, most from abroad. For years, the event was marred by stampedes and fires, but it had been largely incident-free for nearly a decade after safety improvements. "Saudi Arabia is incapable of organising the pilgrimage," said Ayatollah Mohammad Emami Kashani, leading the main weekly prayers in Tehran on Friday. "The running of the hajj must be handed over to Islamic states," he said. Iran on Friday organised an official protest against the "mischievous and incompetent regime" in Riyadh, and summoned the Saudi charge d'affaires to ask for the kingdom's help in repatriating the bodies of Iranian victims.